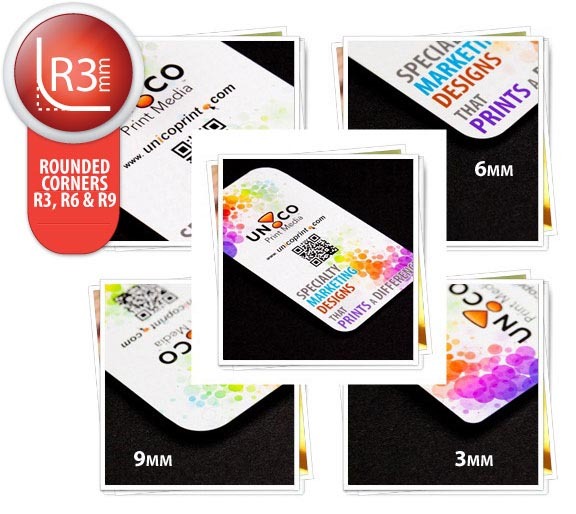 Looking to have your business cards stand out, while at the lowest cost possible? Rounded corners are your best option! 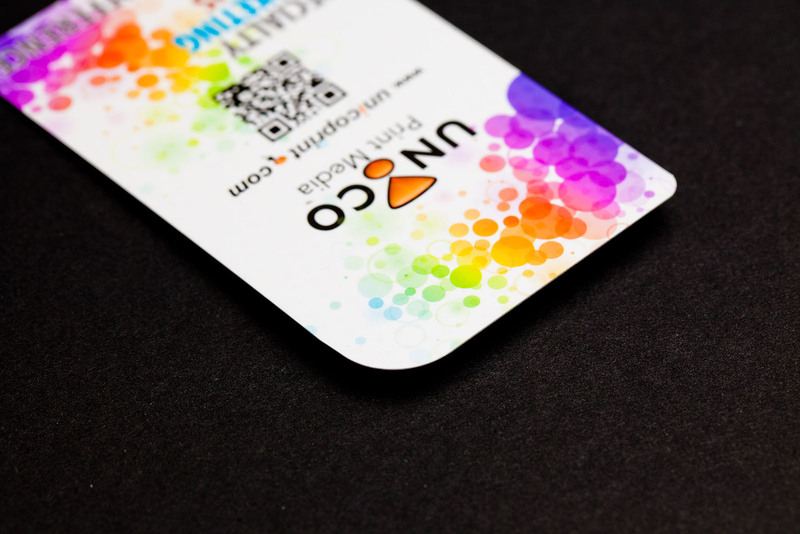 Rounded corners on business cards creates a trendy and stylish impression, much more unique than boring right-angle corners. We offer 3mm, 6mm & 9mm and the cost is ONLY $20/1000qty. And you can always mix and match, 1 rounded corner 3mm, 2 rounded corner 6mm and one corner not rounded.